Approved Press are provided with complimentary Press Badges, which are valid for GA entry to all unticketed events held at GREAT AMERICAN COMIC CON: LAS VEGAS. Your Press Badge allows GA access as long as space is permitting. Complimentary Press Badges are extended as a courtesy of GREAT AMERICAN COMIC CON: LAS VEGAS. Each is issued individually and is non-transferable. You may not transfer or sell your GREAT AMERICAN COMIC CON: LAS VEGAS Press Badge, and any individuals conducting such behavior will be disqualified from Press Badges at future GREAT AMERICAN COMIC CON: LAS VEGAS events. We highly recommend that you apply early as there is a chance that we will reach maximum capacity for Press Badges to GREAT AMERICAN COMIC CON: LAS VEGAS 2018 prior to the deadline. Once all Press Badges are allocated, no more will be released. Press credentials can be picked up on site near the entrance of the convention center. Press credentials are good for all three days of the event which includes our Media Day. 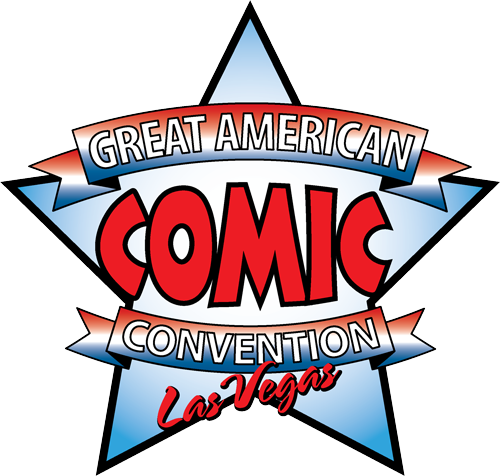 All GREAT AMERICAN COMIC CON: LAS VEGAS media interview requests should be made through GREAT AMERICAN COMIC CON: LAS VEGAS at marketing@gacclv.com or otherwise stated in the confirmation email. Interviews are not guaranteed. During the show while guest are signing autographs, media might be able to ask the guests’ handlers for interview opportunities. Some guests are open to interviews while they interact with fans; others are not open to any on-site interviews. It’s on a strictly case-by-case basis. Failure to respect these wishes may lead to loss of press credentials for this convention and possibly future conventions. Media will not be allowed in the Guest green room. Media will have access to all public and VIP rooms. During panels the media can take photos or video. We ask that you be courteous of attendees while taking video or photos and avoid standing in front of other fans that are in attendance. Individual Featured Guests and agents have the right to deny photos and video during panels. If a featured guest or agent makes this request a GREAT AMERICAN COMIC CON: LAS VEGAS volunteer or staffer will notify you on site. Failure to comply with these requests may result in a loss of press pass. Power outlets at GREAT AMERICAN COMIC CON: LAS VEGAS 2018 are three-pronged. Media is responsible for its own parking during GREAT AMERICAN COMIC CON: LAS VEGAS.